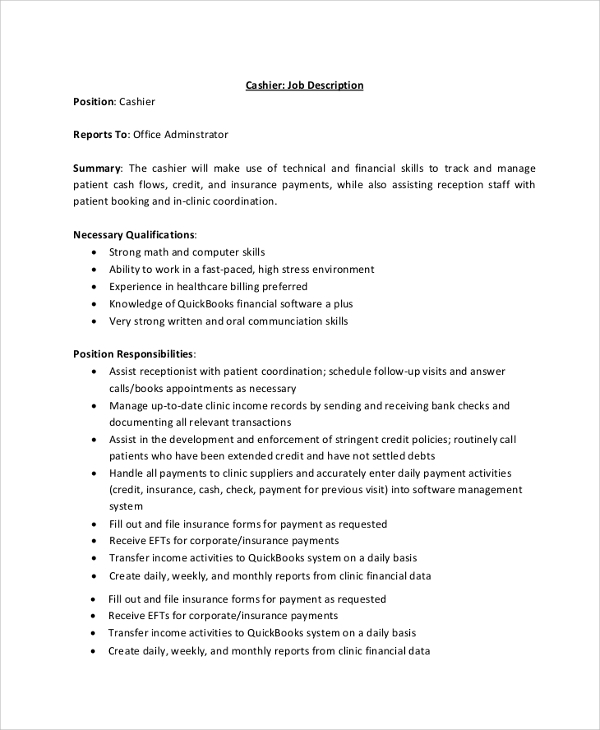 The cashier job involves a lot of responsibilities, the biggest being handling of cash with accuracy, care, and accountability, besides many more things to do, which needs knowledge of computers, accounts, etc. 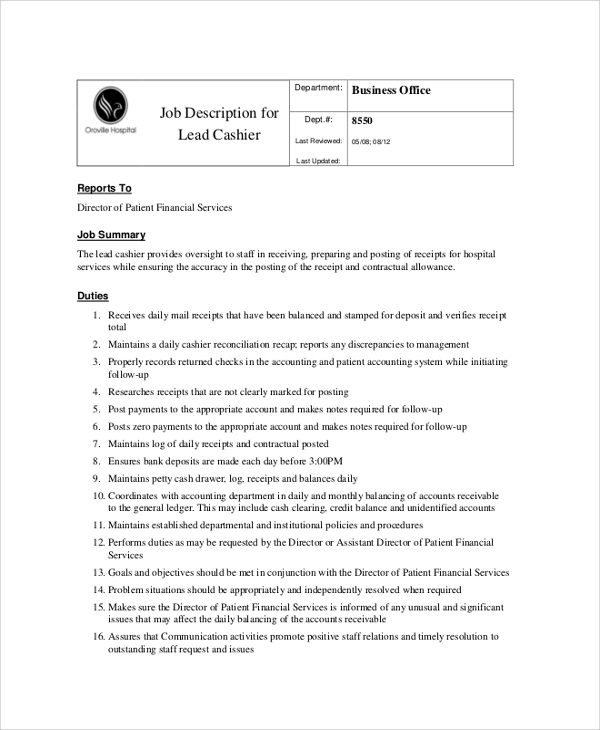 Therefore, you have to list all the responsibilities in the job description, so that you may relay the exact job type to the candidate while recruiting. You may also use the same to tell a new recruit about the job profile. 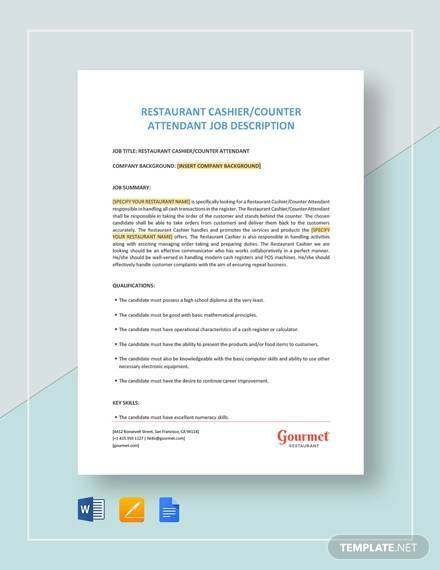 Here are the best Cashier Job Description Samples. 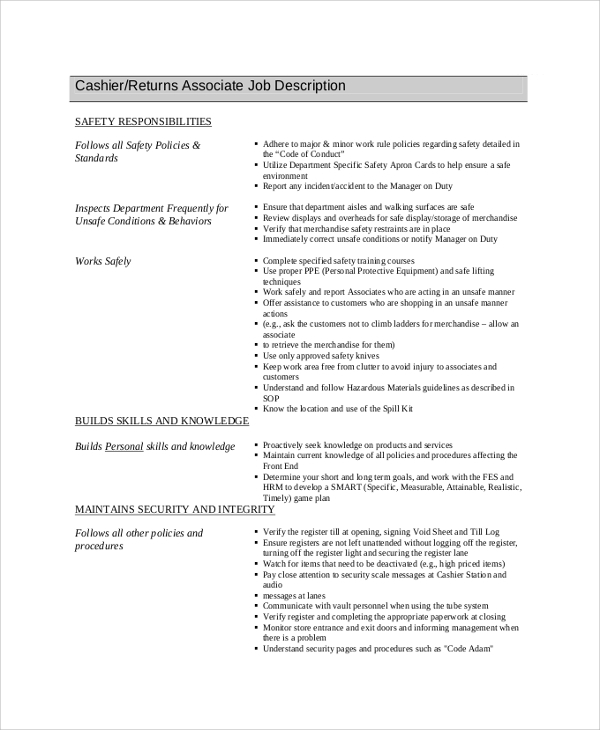 If you have to tell the cashier associate about the job role in plain words with details including all the responsibilities, then this sample is the best. 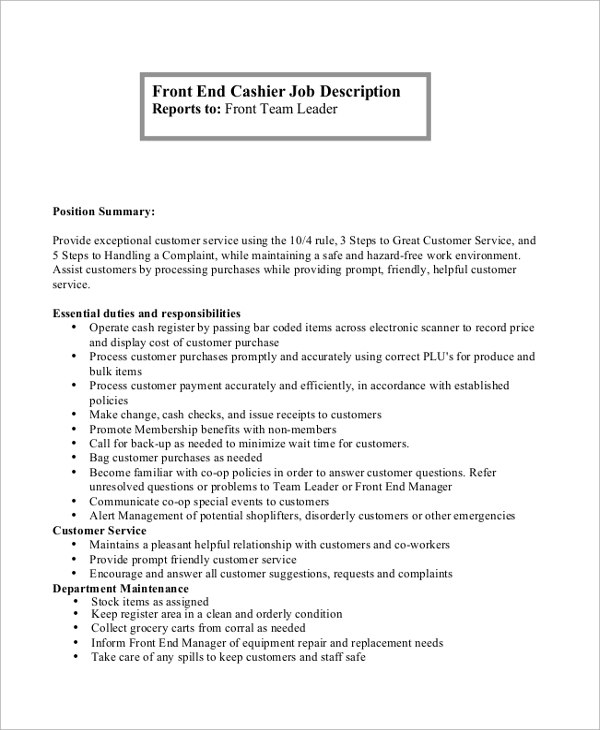 It has all official cashier job descriptions and will fit most positions. 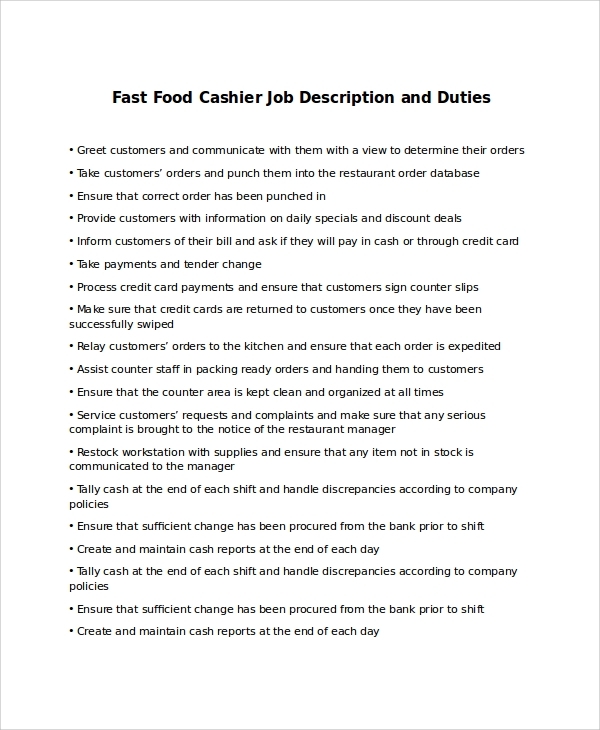 The fast food cashier job description sample is to tell a cashier working at a fast food joint about his duties, and this one is made to suit all fast food cashier jobs. 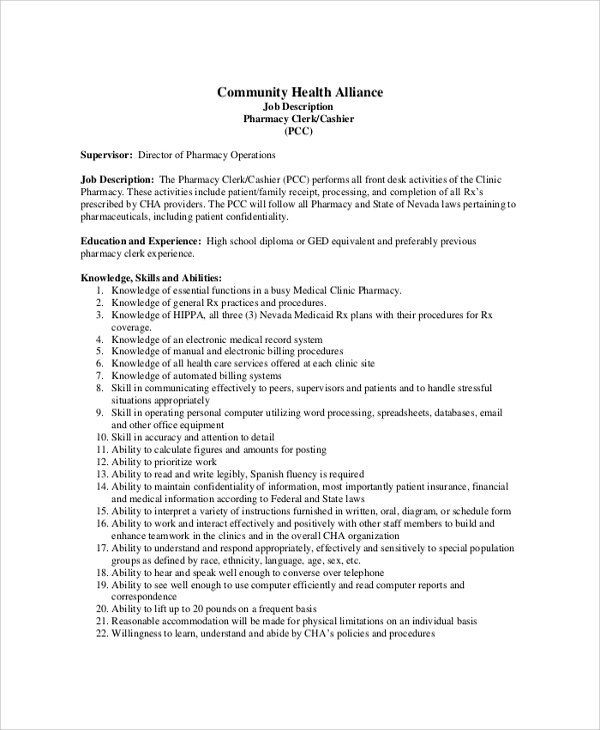 The pharmacy cashier will have a different set of job responsibilities and to list them all without missing any small points, you may find this sample helpful. 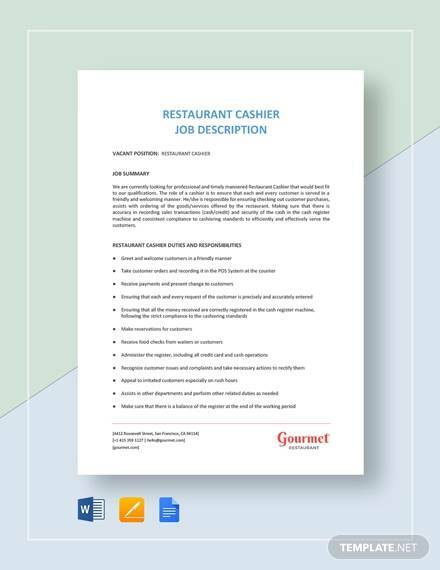 The cashier clerk job description states the specific duties in general for a cashier clerk, and all people working in such positions will get help from the standard set of responsibilities listed. The store cashier job description is strictly a job responsibility list for the cashiers working in a store. It can be any store, and hence the description is also standardized to suit all. The cashier job needs to be described in a few situations. 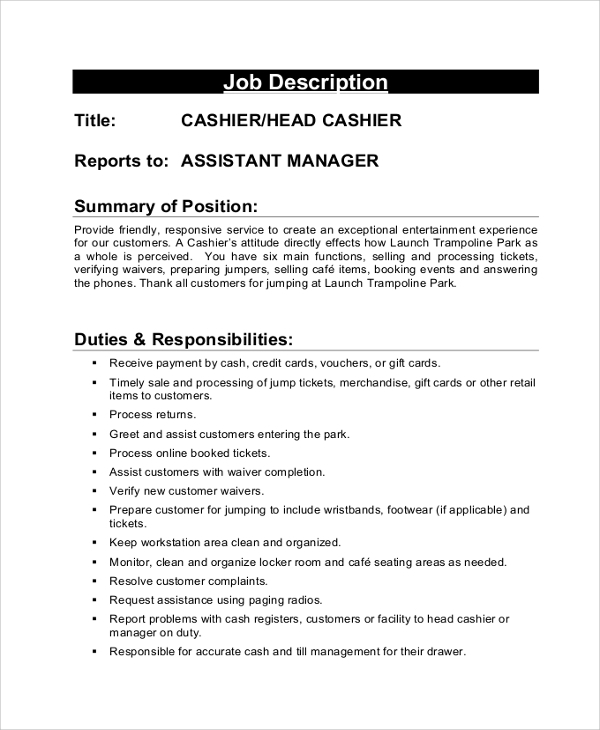 When you have recruited a cashier, and want him to self-educate himself about the job and responsibilities, then you will find this Job Description quite useful. This will relieve you of the efforts of writing things in details, listing duties, and listing troubleshooting options. You may directly download the description online, and customize in parts to use. This also comes into use when you have to develop the idea of what exactly the responsibility of a cashier is. Also, in the case of posting jobs in a job portal, or newspaper ad, you may have to list the job description to set expectations and get the right candidate. The cashier job description is all about writing what exactly the cashier needs to do while being on duty seat. This would involve handling cash, keeping accounts, noting things in the ledger or computer file, and giving and receiving payments. Besides, there are some more jobs to do which depends on the place the cashier is seated and varies from domain to domain. But the primary responsibilities which are somewhat domain specific have to be listed. 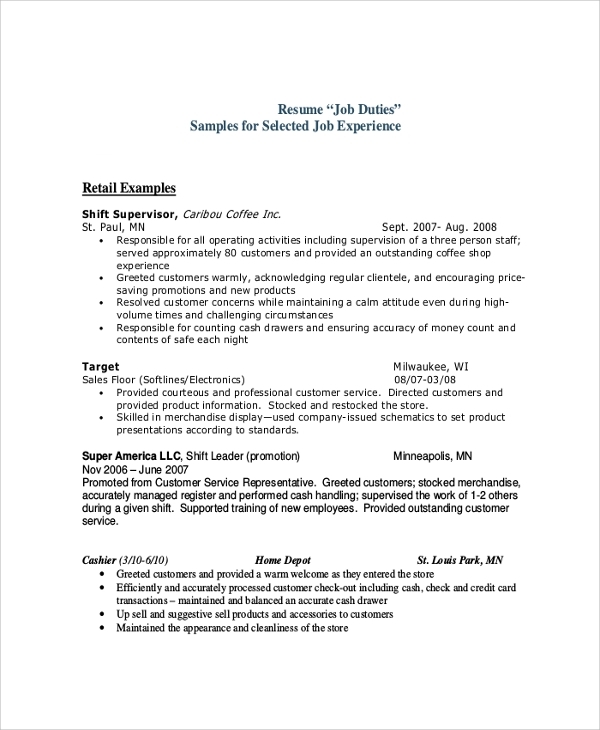 You can always take help while listing this and writing the description from the samples of cashier job description available online. 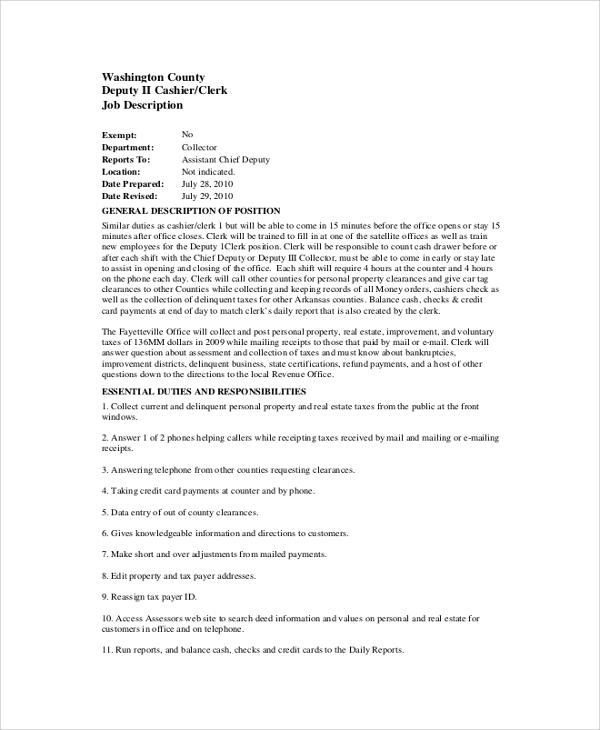 The Job Description Templates you find online will assist you in many ways. Whether you need to tell a recruit about the job, or need to post an ad or need to understand on your own about the job, it’s always helpful. Get sample job objectives and more suitable samples here.